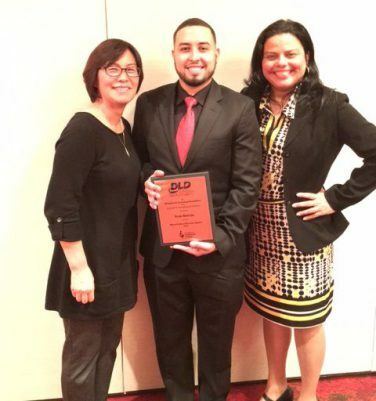 Mr. Ivan Borras ’15 (Adolescent Special Education) has received the 2016 Marva Collins Excellence in Teaching Award from the Division for Learning Disabilities of the Council for Exceptional Children. He currently teaches at Entrada Academy X384. Ivan Borras, who was born and raised in the Bronx, had to overcome numerous adversities growing up; accordingly, he has a strong understanding of the trials and tribulations affecting youths in urban areas. As a product of the community and the public school system, he feels it is not only his obligation to give back, but also to be the best role model he can be. Borras cannot say college was in his thoughts when he graduated from high school; he had other priorities that pushed education out of reach though he envied the few peers who attended college and, more so, those who resided on campus. Borras has been serving the Bronx community since 2004. First, he became a paraprofessional despite not knowing what the position entailed. 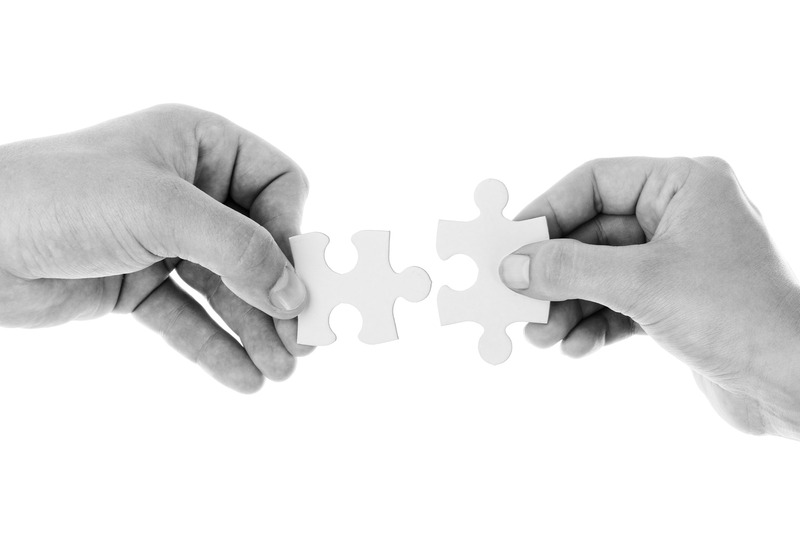 The very first step was taking the ATAS exam (Assessment of Teaching Assistant Skills), which he passed successfully without any prior knowledge of the content, and became a substitute paraprofessional. This experience brought him closer to the teaching profession. Borras decided to become a certified special education teacher in order to improve the academic experience of culturally and linguistically diverse students with disabilities. He was able to relate to students and possessed an innate ability to draw students’ attention. Where teachers lacked classroom management, Borras would take initiative to not only assist, but at times conduct, lessons. Borras had found his passion in life: to help the youth of New York City. He soon became highly sought out by several schools for permanent employment. After receiving a permanent position, he utilized the academic resources provided by the Department of Education. One of those resources was a partial tuition scholarship, which Borras used to complete his undergraduate education at Mercy College. 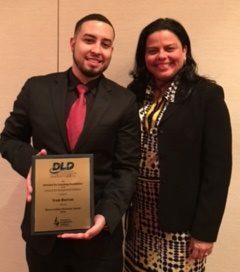 Ten years from the time he started with the New York City Public School system, Borras became a certified Special Education teacher and acquired a master’s degree in special education with a specialization to teach students with learning disabilities. Borras comes to school with an excitement and zeal to make great things happen with his students. He has gained the respect of all the students he has worked with and from his colleagues as well. His students respect Mr. Borras because he passionately cares for their learning. Mr. Borras does not see his students as individuals who go from his class like an assembly line, but as students who need a lot of attention, specific strategies, and tons of caring in order for them to respond to instruction. Mr. Borras is able to reach that level of rapport that sets him apart in how he speaks to the students and demands the best that they have in a manner that makes it non-threatening for the student. Mr. Borras is a fighter. He fights for his students relentlessly. He will challenge any initiative that will not allow his students to learn or achieve effectively in his class. He will build an argument and show others how the curriculum may not fit his students’ needs. Importantly, rather than convey negativity about extant circumstances, he offers alternatives, which might involve creating a curriculum with the proper scaffolds, differentiation and strategies that will allow his students to navigate through the work, achieving mastery and independence. One of the most notable and fundamental aspects of Mr. Borras’s work is his understanding of youth development and how it applies to students in special education classes. Mr. Borras’s work in the classroom includes strategies that will bring the group together in a round table discussion, smaller group setting, or paired work. Students will rotate in stations in his class, get up from their seats and work on charts in various places in the classroom and still have opportunities for sharing and writing. Mr. Borras goes above and beyond the call of duty by volunteering to work with students on weekends. 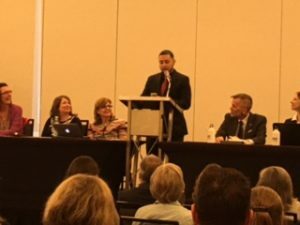 The elation Mr. Borras now feels, having gained a profession position that enables him to work with diverse students, despite the adversities he faced, provides insights into why he is a teacher in one of the poorest congressional districts in the nation. It is his homage to the students and teachers of the Bronx, who have helped shape who he is. Mr. Borras loves children, and that is one of the reasons he wanted to became a teacher, to help children, to make a difference in their lives, and to encourage them to reach their fullest potential. Mr. Borras strives to emphasize the important role of education. He will continue to empower his students to be confident and see themselves as creators of their own futures. Through his thoughtful, effective, and inspiring approach to teaching, his students will develop innovative and principled ideas, and their leadership will enlighten the world.